Menidi (Μενίδι) is located in northeastern coast of Amvrakikos gulf (Northwestern Greece). It has been proved an excellent place for vacations. 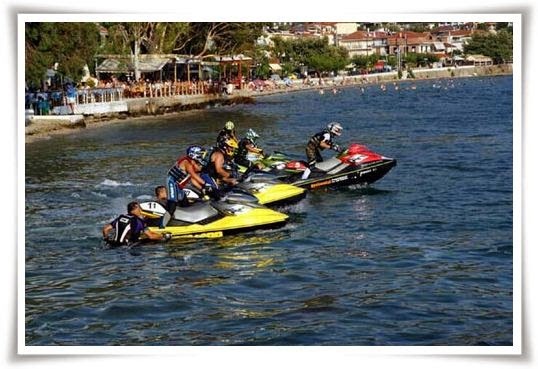 In recent years tourism is continuously rising, due to the excellent services at affordable prices, we offer. The hospitality of the residents, to all visitors, has yield very good impression to everyone that has visit our area. In Greece, you are standing at crossroads of cultures, colors and civilizations, you feel the grandeur of history and the warmth of being at the southernmost part of Europe, you discover the evolutionary process of thought, influence and experience. A country with a uniquely affluent historical past, inhabited by people gazing confidently and optimistically into the future. A country that although statistically small, is huge in its diversity. A landscape that has given us thousands of postcard images but remains incredibly vibrant and impossible to capture. Greece is a country of beautiful contradictions, a constant journey in time, from the present to the past and back again. Walk through the olive groves, through ancient sites. Move to clusters of sparsely inhabited islands. Roam from beaches to rocky mountains and explore the breathtaking scenery. In Greece the fusion of images becomes more than imagery and turns into reality. Explore your senses in Greece. One of the most beautiful places to visit in Western Greece is Menidi. We will provide anything that is needed to make your vacations unforgettable. Excellent hotels at surprising prices. Clean and beautiful. Personnel willing to serve your needs. You 'll get excited. Plenty of restaurants, fish houses, fast foods, will serve your needs. Try the famous Greek souvlaki (skewered meat), ouzo (beverage), enjoy the taste of the famous shrimps of Amvrakikos gulf (and any other fish you like). Anything you can imagine. If you want action, night clubs, aquatic sports. If you seek serenity, there is also, place for you. 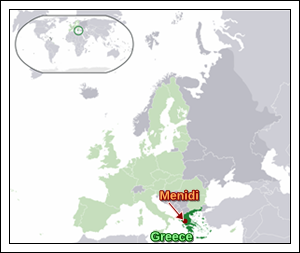 Come in Menidi and visit many interesting places in Western Greece.